Debra Skinner (56) of North Bolton, Halifax, given 6 points on her license, £660 fine, £66 victim surcharge, £85 costs for failing to give information relating to the identification of a driver. Anthony James Broadhurst (28) of Margate Street, Sowerby Bridge, community order, £85 victim surcharge, £85 costs for driving while disqualified, driving without insurance and driving without due care and attention. Ryan Kemp (29) of Signal View, Fountain Head Village, Halifax, restraining order, £50 compensation, £85 costs for assault. Krzysztof Gos (51) of All Souls Road, Boothtown, disqualified from driving for six months, £770 fine, £77 victim surcharge, £85 costs for failing to give information relating to the identification of a driver. Mohammed Amar (40) of Richmond Road, Halifax, given 3 points on his license, £220 fine, £30 victim surcharge, £85 costs for speeding. Dean Russel Anderson (46) of Dispensary Walk, Halifax, given 3 points on his license, £220 fine, £30 victim surcharge, £85 costs for speeding. Yvonne Fletcher (56), of Burton Street, Holmfield, given 6 points on her license, £660 fine, £66 victim surcharge, £85 costs for failing to give information relating to the identification of a driver. Suzanne Claire Hesselden (51) of Bank View, Luddenden Foot, given 5 points on her license, £92 fine, £30 victim surcharge, £85 costs for speeding and given 5 points on her license, £92 fine for speeding. Beverley Hoyle (36) of Woodbrook Place, Mixenden, community order, £85 victim surcharge, £120 costs for assault and causing actual bodily harm. Kieron Patrick Spruce (38) of Akeds Road, Halifax, community order, £85 victim surcharge for stealing a bottle of vodka to the value of £40 and a community order for possessing a pair of wire cutters for use in the course of, or in connection with, theft. Sameer Ahmed (21) of Hammond Street, Halifax, given 8 points on his license, £138 fine, £30 victim surcharge, £620 costs for driving without insurance. Shaihzad Ali (34) of Queens Road, Halifax, disqualified from driving for four months, £250 fine, £30 victim surcharge, £620 costs for speeding. 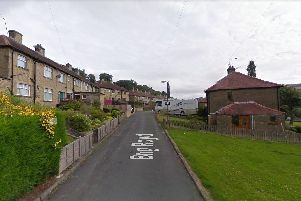 Karen Moore (50) of Back Sowerby Croft Road, Sowerby Bridge, given 5 points on her license, £375 fine, £37 victim surcharge, £85 costs for failing to report an accident and failing to give information relating to an accident. Kenny Bates (31) of Meadow Lane, Wheatley, given 3 points on his license, £220 fine, £30 victim surcharge, £85 costs for speeding. Paul Beddows (40) of Dean House Lane, Luddenden, given 3 points on his license, £292 fine, £30 victim surcharge, £85 costs for speeding.